A year of celebration and of "new" beginnings! TESOL Greece: 40 years in pursuit of excellence! 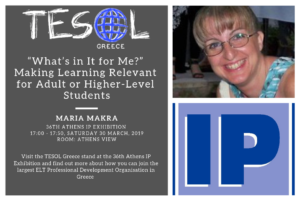 We are celebrating our fortieth anniversary on 2-3 March, 2019, and we are inviting you all to join in now, so we can make this year the best of TESOL Greece. An open invitation to all TG members, former Board members, Newsletter editors and SIG Coordinators to talk about their personal experience(s) while serving TESOL Greece. (journaleditor@tesolgreece.org), OR to post a video on facebook (facebook.com/groups/TESOL.Greece). 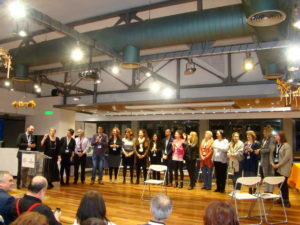 The TESOL Greece social media and the December TG Journal are YOUR platform. You can also reminisce and/or post photos. Don’t forget to use captions. Throughout these forty years, as TG members, we’ve met interesting people, have had beautiful moments and have made wonderful friends. Let’s celebrate then all we have gained and learned. 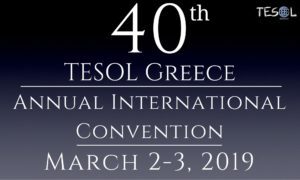 https://www.youtube.com/watch?v=2yT8jec_wuw&feature=share The TESOL Greece Board is looking forward to hearing from you and to seeing you at this year’s events. Support the volunteer, non profit, nonunionized association which was founded by EFL educators, for EFL educators in Greece forty beautiful years ago. Please SHARE this invitation with your friends who have been members of TG in the past. And, of course, we cannot forget that September brings us closer toa new school year, anticipating beautiful surprises, “new” beginnings and positive challenges.